Muhammad ibn ʿ Abd al-Wahhab (1115 - 1206 H/1701 - 1793 M) (Arabic: محمد بن عبد الوهاب التميمى) was an Islamic theologian and a prominent leader of the religious movement which has served as the then mufti Daulah Su'udiyyah transformed into the Kingdom of Saudi Arabia. Proponents are often called the Wahhabist movement, but they prefer to call themselves a Salafist or Almohads which means "one God". Muhammad ibn ʿ Abd al-Wahhab's full name is Muhammad ibn ʿ Abd al-Wahhab bin Sulaiman bin Ali bin Muhammad bin Ahmad bin Muhammad bin Rashid bin barid Masyarif bin al-al-at-Tamimi an-Najdi Hanbali. His full name is derived from his family tree. Muhammad ibn ʿ Abd al-Wahhab, was a scholar who tried to revive the movement in a pure Islamic struggle. The supporters of this movement called the Wahhabist actually declined, due to the teachings of Ibn Wahhab basically they are the teachings of the Prophet Muhammad, not the doctrine itself. Hence they prefer to call themselves a Salafist or Almohads which means "one God". The term Wahhabi is often caused controversy in connection with the origin and occurrence in the Islamic world. Muslims generally terkeliru kerana they indict them they follow schools of thought and the flow Ahmad ibn Hanbal, al-al-Hanabilah Hanbaliyyah or who is a school of the Ahl al-Sunnah wa al-Jama'ah. Name of Wahhabi or al-Wahhabiyyah seem linked to the name of 'Abd al-Wahhab's father told pengasasnya namely, al-Shaykh Muhammad ibn' Abd al-Wahhab al-Najdi. However, the name is said to be rejected by the Wahhabis Wahhabis themselves and those deploying them as a class of al-Almohads (3) (unitarians) kerana they accuse you want to restore the teachings of Islam and tawhid into a pure life according to the sunnah of the Prophet. He made a covenant with Muhammad bin Saud, a tribal leader in the region of Najd. According to the agreement, Ibn Saud was appointed as a caretaker administration while Ibn Abdul Wahhab politics became the spiritual leader. To date, the title "Royal Family" held by the state of Saudi Arabia Saud family. But the general mufti is not always of the family of Ibn Abdul Wahhab eg Shaykh 'Abdul' Aziz bin Baz Abdillah bin. Sheikh Muhammad bin Abdul Wahab was born in 1115 AH (1701 AD) in his hometown Uyainah (Najd), approximately 70 km northwest of Riyadh, the capital of Saudi Arabia now. He grew and grew within the ranks of educated families. His father was a cleric in his neighborhood. While his brother was a Qadi (large mufti), a place where people of Najd to ask all concerned with religious issues. As usual religious family, then Sheikh Muhammad bin Abdul Wahab since childhood has been brought up with their own religious education is taught by his father, Sheikh Abdul Wahhab. Thanks to the guidance of both parents, coupled with intelligence and craft, Sheikh Muhammad bin Abdul Wahab managed to memorize the 30 chapters of the Koran before he was ten years old. After that, he handed over by their parents to the local clergy before they finally sent him to study outside the region. His brother, Sulaiman bin Abdul Wahab, told me how proud Sheikh Abdul Wahab, their father, to the intelligence of Muhammad. He once said, "Indeed, I have a lot to take advantage of my son Muhammad science, especially in the field of Fiqh". Upon reaching adulthood, Sheikh Muhammad bin Abdul Wahab was invited by his father to get together to go to the holy land of Mecca to perform the fifth pillar of Islam - the pilgrimage in the House. When it has completed the pilgrimage, his father returned to Uyainah while Muhammad remained in Mecca for some time and studied there. After that, he went to Medina to the scholars studied there. In Medina, he studied at the two great scholars of the Sheikh Abdullah bin Ibrahim bin Saif an-Najdi and Sheikh Muhammad al-Sindi hayah. When in the city of Medina, he noticed there are many Muslims who do not run the Shari'a and shirk, such as visiting the Prophet's grave or tomb of a religious figure, then ask something to the cemetery and penguhuninya. This is contrary to the teachings of Islam which teaches people to not ask other than Allah. This makes Sheikh Muhammad increasingly compelled to deepen the knowledge of pure monotheism (Salafi Aqeedah). He promised himself he would fight and determined to restore the Islamic Aqeedah there for a pure Islamic theology (tawhid), far from being superstition, superstition, or heresy. After a long stay in Mecca and Medina, he then moved to Basra. Here he lived longer, so many sciences that diperolehinya, terutaman in the field and musthalahnya hadith, fiqh and fiqhnya proposal, as well as grammatical knowledge (science qawaid). In addition to learning, he was also preaching in this city. Shaykh Muhammad ibn `Abdul Wahab began his preaching in Basra, where he settled to study at the time. However, there is less shine his message, because it encountered many obstacles and barriers among the local clergy. Among the supporting units in the city of Basra was a cleric named Sheikh Muhammad al-Majmu'i. But Sheikh Muhammad bin `Abdul Wahab with his supporters under pressure and threats from some scholars are accused of heresy. Eventually he left Basra and wander into some Islamic countries to spread the knowledge and experience. After a while, he then returned to al-Ahsa see his teacher Sheikh Abdullah bin `Abd al-Latif Ahsai to explore some specific areas of study that has not had time to learn. There he lived for some time, and then he returned to his native village Uyainah. In 1139H/1726M, his father moved from 'Uyainah to Huraymilah and he participated with his father and learned to his father. But he still continued his opposition to the practice-strong religious practice in Najd. This led to a great conflict and strife between him and the father who Ahlussunnah wal Jama'ah (as well as the inhabitants of Najd). The situation continued until the year 1153H/1740M, when his father died. Since of that, Sheikh Mohammed was no longer bound. He expressed belief-free akidahnya own course, refusing to rule out the practice, and practice the religion of Muslims was carried out with an attitude of tolerance and mutual respect for differing opinions. Looking at the situation of Muslims who have violated the faith, he began planning to develop a line of monotheist (muwahhidin) that he attributed the movement to purify and restore the faith of Islam. By his opponents, the movement came to be called by the name Wahabiyah movement. 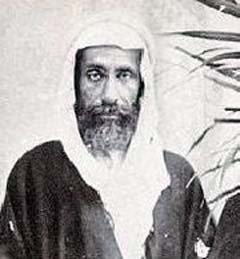 Muhammad bin Abdul Wahab started the movement in the village itself, Uyainah. At that time, ruled by a Uyainah Amir (ruler) called Uthman ibn Muammar. Amir Usman welcomed the idea and the idea of ​​Sheikh Mohammed, he even promised to help and support the struggle. Once, Sheikh Muhammad bin Abdul Wahab at Amir Uthman asked for permission to destroy a building that is fostered in the maqam Zaid ibn al-Khattab. Zaid ibn al-Khattab is the brother of Umar ibn al-Khattab, the second Caliph of the Prophet. Make the building over the grave in his opinion could lead to idolatry. Amir replied "Please ... no one who can prevent this noble design." But Sbeliau not worry the problem will eventually prevented by residents living near the station. Then Amir provide 600 soldiers for that purpose together Sheikh Mohammed's sacred tear down stations. Actually what they call the tomb of Zayd ibn al-Khattab ra. who died as martyrs' movement menumpaskan Yamamah when the False Prophet (al-Kazzab Musailamah) in the country Yamamah a first time, just based on mere prejudice. Because there are dozens of martyrs' (hero) who was buried without a clear Yamamah again their introduction. It could be that they think is the tomb of Zayd ibn al-Khattab was the tomb of another person. However, because the local people there have already assumed that this was his tomb, they were mengkeramatkannya and build a mosque nearby. The tomb was later destroyed by Sheikh Muhammad bin Abdul Wahab, the help of Amir Uyainah, Uthman ibn Muammar. The movement of Shaykh Muhammad did not stop there, he later destroyed some graves that he considers harmful to monotheism. This is thought to prevent the tomb is not as object of worship by the local Islamic community. News of this movement eventually spread among the people outside Uyainah Uyainah mahupun. When the government of al-Ahsa 'got the news that Muhammad al-Wahhab preached bin'Abd opinion, and governments' Uyainah also endorse them, it then gives a warning and a threat to pemerintah'Uyainah. This apparently managed to change the minds Uyainah Amir. He then called Sheikh Mohammed to talk about how the pressure exerted by the Amir al-Ahsa '. Amir is in a position Uyainah awry then, on the one hand he wants to support the cause but on the other sheikhs he is powerless against Amir al-Ihsa pressure. Finally, after a debate between the Emir sheikh Uyainah, at Reach a decision: Sheikh Muhammad had to leave the area Uyainah and flee to other areas. But there are also other writings which say that: In the beginning Shaikh Muhammad received full support from the governments of the Amir Uthman ibn Mu'ammar Uyainah, but after the fire ignited the movement, resigned from the local government arena the movement for political reasons (likely in fear of being fired from his position as Amir Uyainah by the employer). Thus, Sheikh Muhammad stayed with some friends who are faithful to continue his preaching. And a few days later, Sheikh Mohammed kicked out of the country by its government. Shaykh Muhammad ibn `Abdul Wahab Dir'iyyah then go to the region. Arriving at a village Sheikh Muhammad Dir'iyyah region is not far from the residence of Amir Muhammad bin Saud (Dir'iyyah territory governments), Sheikh meet a resident in the village, the person named Muhammad ibn al-`Suwailim Uraini. Bin Suwailim This is a known pious by the local community. Sheikh then asked permission to stay overnight at his house before he went on his way to somewhere else. At first he hesitated to receive Sheikh in his house, because the atmosphere and surroundings Dir'iyyah unsafe at that time. However, after Sheikh introduced himself and explained the purpose and objectives Dir'iyyah came to this country, that is about to spread propaganda Islamiyah and membenteras polytheism, then Muhammad bin Suwailim wish to receive them as guests in his home. Regulation in Dir'iyyah when it requires that every newcomer to report themselves to the local authorities, then went to see Amir Muhammad bin Suwailim to report the arrival of Sheikh Muhammad Abdul Wahab, who had just arrived from Uyainah and explain the intent and purpose to him. But they failed to meet Amir Muhammad who was not home, they also convey a message to amir by his wife. Ibn Saud's wife was a pious woman. So, when Ibn Saud's turn to was his wife's house, his wife convey all these messages to her husband. Then he said to him: "Cheer up kakanda with this great advantage, the advantage in which God has sent into our country a scholar, a press propaganda that we invite the community to the religion of Allah, adhere to the Qur'aan and the Sunnah of His Messenger. This is a huge advantage , do not hesitate to accept and help fight this scholar, let's now also kakanda get him here. " But the king hesitated for a moment, he wondered whether it was called Sheikh should come before him, or he himself should come pick up the Sheikh to be brought to their own place? Majesty was then asked for the views of some of his advisers on this issue. His wife and his other advisers agreed that should the king himself came to meet Sheikh Muhammad bin Muhammad Sulaim home. Majesty would also agree with this advice. Then the king went with some people the importance of Muhammad bin Suwailim home, where Sheikh Mohammed overnight. Arriving at the house of Muhammad bin king Suwailim, amir Ibn Saud met with greetings and the greetings of Sheikh and bin Suwalim. Amir Ibn Saud said: "O Sheikh! Be glad you are in our country, we accept and welcome your arrival in this country with great joy. And we promise to ensure the safety and security in the country in delivering mission to the community Dir'iyyah. Demi triumph of propaganda Islamiyah you plan, we and all of the Ibn Saud family will risk their lives and treasure to fight alongside you for elevating the religion of Allah and His Messenger revive the Sunnah, so that God wins this fight, Insha Allah! " Then the Sheikh replied: "Thank God, you should also happy, and God willing, this country will be blessed Allah Subhanahu wa Taala. We want to invite these people to the religion of Allah. Who helps this religion, Allah will help him. And who support this religion, nescaya God will support him. And God willing we will see this reality in the not so long. " Such an Amir (ruler) Dir'iyyah single country that is not just defending his message, but also at the same time protecting their own blood as a means of siblings between Amir and Sheikh had sworn loyalty-semati lively, and shared causes, in enforcing the law Allah and His Messenger on earth Dir'iyyah. Apparently what swore by Amir Ibn Saud was actually keep. He must keep pace with the Sheikh, shoulder to shoulder in upholding the sentence of God, and striving in His way. The name of Sheikh Muhammad bin Abdul Wahab its teachings were so audible in the community, both domestically Dir'iyyah and in neighboring countries. Outside of any public Dir'iyyah flocked to Dir'iyyah to settle and live in this country, so that the country Dir'iyyah muhajirin crowded with people from all over the Arab lands. He began to open up Islamic schools using a curriculum that became the main capital for the struggle he disciplines including Aqeedah al-Qur'an, tafsir, fiqh, the proposal fiqh, hadith, hadith musthalah, gramatikanya (nahwu-shorof) and others. In a short time, has become a mecca Dir'iyyah science and those who want to learn the goals of Islam. The claimant science, young and old, flocked to this country. In addition to formal education (madrassas), there was also preaching that is open to all levels of society. He is so blaring propaganda echoes throughout Dir'iyyah and neighboring countries to another. Later, Sheikh began to enforce jihad, writing letters to the preaching of certain figures to join the ranks Muwahhidin led by his own. This renewal movement in order to eradicate monotheism polytheism, heresy and superstition in their respective countries. For the initial step movement, he started in the land of Najd. He was first sent letters to scholars and the rulers there. Sheikh to take various kinds, and how, in delivering his message, according to the circumstances it faces. In addition to preaching through the oral, he also did not ignore the propaganda in the pen and in time also, if necessary, he preached to the iron (sword). Sheikh then send a letter to scholars and the umaranya Riyadh, one of which is Dahham Dawwas bin. Letters were also sent to the scholars and rulers. He continued to send letters to every corner of his message was Arabic, both near or far. In the letters, he describes the dangers that threaten shirk the Islamic countries around the world, also the danger of heresy, superstition, and superstition. Thanks to the correspondence relation of the clergy and Sheikh umara at home and abroad, has added luster to his name Sheikh respected among our allies and opponents, to reach further and further echoed his message abroad, and no small influence among Islamic scholars and thinkers around the world, as in the Indies, Indonesia, Pakistan, Afghanistan, North Africa, Maghreb, Egypt, Syria, Iraq and others again. It's quite a lot of preachers and scholars in these countries, but at that time most of them do not focus to eradicate shirk in his message, even though they have the sciences adequate. So much correspondence between the Sheikh with the scholars both within and outside the Arabian Peninsula, so it becomes very precious document. Lately all his writings in the form of treatises, as well as their books, were compiled for printing and some have been printed and distributed to all corners of the Islamic world, both through Rabithah `Alam al-Islami, and of the Saudi kingdom itself (on the forthcoming). So also with the writings of the sons and grandsons and his writings of his disciples and supporters who have inherited his sciences. At present, his writings have spread to all corners of the Islamic world. Thus, be Dir'iyyah as a center for preaching the Muwahhidin (purification movement tawhid) by Shaykh Muhammad ibn `Abdul Wahab, who is supported by the ruling Amir Ibn Saud. Then the output Dir'iyyah disciples also spread the teachings of this pure monotheism throughout the world by opening a madrasah or general studies in their respective regions. History of reforms driven by Shaykh Muhammad ibn `Abdul Wahab was recorded in the history of the world as the most powerful of its kind and very brilliant. In addition, it is a movement of change that many human casualties and property. This occurs because of resistance from the outside or from within. Resistance from within, especially from Islamic religious leaders who feared losing their own rank, position, influence and congregations. And from the Ottoman authorities who are concerned about the influence of Ibn Abd al-Wahhab's preaching that has penetrated two Muslim holy cities, Mecca and Medina. Therefore, in order to maintain their power, they sent a large army under the command of Muhammad Ali Basya (governor of Egypt) to conquer Dir'iyyah several times, until finally falling in the year 1233 H.
Many of the leaders of Al Saud and Al Shaikh (children and grandchildren of Sheikh Muhammad bin Abdul Wahhab) who was arrested and exiled to Egypt after the fall of the capital Dir'iyyah, even partially executed by the enemy, for example, is Sheikh Sulaiman bin Abdullah bin Muhammad bin Abdul Wahhab who a hadith expert in her time. He was killed in a most heinous by Ibrahim Basya. Similarly Daulah Su'udiyyah priest at that time, Imam Abdullah bin Abdul Aziz bin Su'ud bin Muhammad bin Saud (great-grandson of Muhammad bin Saud). He was executed in Istanbul, Turkey. This was the period I Su'udiyyah Daula (1151-1233 H). Then stand Daulah Su'udiyyah II (1240-1309 H), and the latter is the State of Su'udiyyah III which then changed its name to Al Mamlakah Al 'Arabiyyah As Su'udiyyah (Kingdom of Saudi Arabia) which was founded by Abdul Aziz bin Abdurrahman Al Saud (Saudi Kings father now) in the year 1319 H until now. In addition to their fierce opposition from the Party of the Ottoman Empire, they also greatly despised by the Shiites Bathiniyyah, both of Najran (southern Arabia) and others. One of the major battles have occurred between the forces muwahhidin Hibatullah bin Hasan Al Makrami of Najran who berakidah Bathiniyyah Shiite, and this war took the lives of quite large in the muwahhidin. Even Imam Muhammad bin Abdul Aziz bin Saud reportedly killed at the hands of a Shi'ite who infiltrated into the middle of the muwahhidin, he was stabbed from behind while being lead the congregational prayers. In addition to their fierce resistance from the name of Islam, the followers of Shaykh Ibn 'Abd al Wahhab's mission is also despised by the heathen. British imperialists who colonized many lands of the Muslims at that time were concerned about the adverse impact of the spread of propaganda Shaykh Ibn 'Abd al-Wahhab for their existence. Because he revived the doctrine of monotheism and the jihad against the various forms of shirk and bid'ah, while Britain maintains it is precisely because that is where the point of weakness of the Muslims. That is, when the Muslims return to monotheism and abandon all forms of syrik and innovation, they will take up arms against the invaders. Therefore, the UK led to the term 'Wahhabi' and manipulate the various lies and crimes that they attach to the followers of Ibn Abd al-Wahhab's preaching Shaykh, so many of the Muslims in British colonial countries are consumed immediately incitement and hate them. Alhamdulillah, this period has elapsed. Muslims are now better understand what and who the followers of the Messenger mission is forwarded Muhammad bin Abdul Wahhab (who dubbed Wahabi) is. One by one's vices the Orientalists who deliberately provoke among Muslims since the beginning, as well as from Western colonizers, it is now revealed. Although efforts enemies so powerful preaching, both from outside and within being waged by pen or speech in order to stem the propagation of this unity, but their efforts were futile, because it was Allah Subhanahu wa Ta'ala has won the struggle spearheaded by preaching monotheism Shaykh Muhammad ibn `Abdul Wahab who has received not only by residents of Najd country only, but will also have echoed throughout the Islamic world from the tip of the African continent west to Merauke, even begin to touch Europe and America. To achieve the goal of purification teachings of Islam, Sheikh Muhammad bin `Abdul Wahab has embarked on various kinds of ways. Sometimes gently and sometimes rough, according to the nature of a dispute. He got the opposition and resistance from groups who do not enjoy it because of his strict and uncompromising, so that his opponents make various accusations or slander against him and his followers. His enemies had alleged that Sheikh Muhammad bin `Abdul Wahab has banned his followers to read the book of fiqh, tafsir and hadith. In fact there are more heinous, the accused Sheikh Mohammed has been burned a few books, as well as interpreting the Qur'an according to the will of his own lust. "Actually, these allegations have been answered by the Sheikh Ibn` Abdul-Wahab himself in a treatise which he wrote and addressed to `Abdullah bin Suhaim on many disputed issues. Among them, he writes that it is a lie and lie words, as he accused of canceling school books, and he accuse himself as a mujtahid, not muqallid. " Then it sends a message to `Abd bin` Abdullah, Muhammad ibn `Abdul Wahab said:" Stealing and religion that I profess, is the Sunnah wal Jamaat sect expert, as held by the guidance of Imam Muslim, such as schools of four priests and his followers until the Day of Judgment. I just like to explain to people about the purification of religion and I forbid them to pray (beg intercession) on the living or the dead than the pious people and others. Thus the sound of the contents of the book written Shiyanah al-Insan, p. 474. So he said: "As they slander us, of course, with a view to covering up and obstructing the right, and they deceive people by saying: 'That we like to interpret the Quran to our taste, without regard to the book interpretation of the Bible. And we do not believe in the clergy, insulting our prophet Muhammad peace and blessings be upon yours respectfully 'and by saying `that the body of the Prophet Allaah is bad in his grave. And that our staff is more helpful than the Prophet, and Prophet has no intercession. Saying that we human beings have banned read invocation to the Prophet peace and blessings be upon yours respectfully and forbid pilgrimages to the graves. Then he said well, if someone who follows the teachings of our religion in accordance with, that person will be given leeway and freedom of all expenses and liabilities or debt though. We are accused of not mahu acknowledge the truth of the Ahl-ul-Bait Radiyallahu 'anhum. And we are forced to marry someone who does not force anyone kufu and old age and he has a young wife divorced, as it will be married with other youth groups to raise our degrees. Then all charges diada invented in this case we really do not know what to say in reply, but we can say only "Subhanaka - O thou holy God Almighty" is a big lie. Therefore, it is anyone accuse us with the things mentioned above, they have made a huge lie to us. Whoever confesses and saw that what was alleged was that we had done, then know this: that all this did was an insult to us who were created by the enemies of religion or friends of Satan can chase away a man to follow the teachings of monotheism a thorough clean to God and sincerity worship Him. We beri'tiqad that someone is doing a great sin, such as the killing of one Muslim and without good reason, as well as adultery, usury 'and drank wine, though repeated, that person is not ruling out of Islam (apostate), and not eternal hell, where he remained bertauhid to God in all his worship. Specifically about the Prophet Muhammad peace and blessings be upon yours respectfully, Sheikh Muhammad bin `Abdul Wahab said:" And whatever we believe is against the dignity of Muhammad peace and blessings be upon yours respectfully that it is as high as the dignity of his high dignity of the creature-absolutely. And he was living in his grave in a state that is more than the lives of the martyrs that have been outlined in the Qur'an. Because he's more mainstream than they are, with no doubt. The Messenger of Allaah hear people say hello to him. And it is sunnah make pilgrimages to his grave , except when solely come from far away just to make pilgrimages to maqamnya. But circumcision is also a pilgrimage to the mosque of the Prophet and to pray in it, then make a beeline to the maqamnya. And whoever is using precious time to read the invocation to the Prophet, who came invocation than his own, then he will have happiness in this world and hereafter. " As usual, a great leader in a movement of change, then Shaykh Muhammad ibn `Abdul Wahab was not separated from the target of hostility from certain parties, both inside and outside of Islam, especially after Sheikh menyebarkah preaching firmly through his writings, form of books mahupun letters innumerable. The letters were sent to all over the country and also Arab countries Ajam (not Arab). Her letters were returned by the receiving party, so be many hundreds. Maybe that will undoubtedly be accounted for tens of thick volumes. Some of these letters have been compiled, edited and given ta'liq and already published, others are in the process of preparation. This does not include books that had a very valuable written by Sheikh in the crevices of his work is extraordinary. As for the books was written in the form of handbooks and references used in the curriculum of the madrassas when he led the movement tauhidnya. On behalf of the sheathed political religion. For the latter, they entertain a certain class of scholars, to support a collection of them to hostile propaganda Wahabiyah. They accused and slandered as a heretic Sheikh again misleading, as the Kharijites, a person who reneges on ijma 'ulama and various other kinds of bad charges. But Sheikh facing them with high spirits, with a calm, patient, and he still waging propaganda and oral bil bil case, regardless of censure those who denounce it. Class scholars superstition which they saw the haq (truth) is vanity and that vanity is haq. They consider that the building above the graves, and serve as a mosque to pray and pray there and to the inhabitants of the grave to Allah, asking for help and asking her intercession, it is a religion and worship. And if there are those that prohibit them from acts of ignorance that has become customary traditions of their ancestors, they assume that that person hates Auliya 'and pious people who bererti enemy that must be combated. Class scholars taashub which they know little about the nature of Sheikh Muhammad bin `Abdul Wahab and the nature of his teachings. They are just mere taqlid and believe it to negative news about the Sheikh's first collection presented by the above so that they fall into the trap Ashabiyah (pride of the faction) are narrow without a chance to escape from the entanglement ketaashubannya. Then consider Sheikh and his followers, as made, namely anti-Auliya 'and hostile to those pious and Karamah deny them. Sheikh berate them all out and he was accused of being apostates. Groups who fear loss of rank and office, influence and position. So this group so hostile to his mission which was launched by Sheikh Islamiyah is pure Salafi aqeedah berpandukan to fail because of being swallowed by the atmosphere of the noisy-bingarnya his opponents. Thus the three types of enemies who were born in the midst of flames of fire movement driven by Sheikh of Najd is that which ultimately was war and polemic debate between Sheikh on the one hand and his opponent on the other. Sheikh wrote letters to their preaching, and they answer it. And so on. Continuous pen war lasted, not only in the Sheikh own life, but berterusan up to his descendants. Where are his descendants are also ordained by God to the clergy. It is they who continue to struggle maghfurlah al-Shaykh Muhammad ibn `Abdul Wahab, who is assisted by his disciples and supporters of his teachings. Thus the struggle that began with a verbal Sheikh, then with pen and so on with weapons, have been fully supported by Amir Muhammad bin Saud, the ruler Dar'iyah. He was the first time declaring jihad with the sword in the year 1158 H. As we know that a preacher ILALLAH, if not supported by a steady power, preaching must be receding, even though the first stage of progress. But in the end people will get tired and beransur-ansur mission will be abandoned by his supporters. Therefore, the most powerful force to maintain the mission and its supporters, the other not to be supported by the arms. Because the people who serve as the object rather than preaching sometimes with oral mahupun mampan not writing, but they must diiring with weapons, then that's when the need to play the role of weapons. The above verse explains that Allah Subhanahu wa Ta'ala sent His Apostle with accompanying tangible evidence to menumpaskan evil and uphold righteousness. In addition to that, they dibekalkan by the Book in which there are various kinds of laws and legislation, a description and explanation. God also created a balance sheet (mizan) justice, good and bad, and haq and vanity, for the sake of truth and justice tertegaknya in the midst of mankind. But it is not possible to run smoothly and stable without supported by the strength of steel (weapon) which according to al-Qur'an al-Hadid fihi basun syadid ie, steel that has tremendous power. the form of sharp weapons, firearms, ammunition, rifles, cannons, warships, nuclear and others again, whose creation had to use the element iron. The iron really very beneficial for the human race in which the Koran states that linnasi Wamanafiu and many benefits for mankind. Apatah more if used for propaganda and uphold the interests of justice and truth as it has been exploited by Shaykh Muhammad ibn `Abdul Wahab tauhidnya movement during three centuries ago. People who have a healthy mind and a clean mind will easily accept the teachings of the religion, the same one taken by the Prophet, mahupun by the scholars. But for people like doing evil oppressors and the diperhambakan by his desires, they will not be subject to and will not accept it, but if they diiring with weapons. Thus Sheikh Muhammad bin `Abdul Wahab in da'wah and jihad have made use of oral, pen and sword as practiced by the Prophet Allaah alone, at the time of the king to invite the Quraysh to Islam in times of old. That has been done continuously by Sheikh Mohammed for about 48 years without stopping, from the year 1158 Hinggalah his death in 1206 H.
May I know where did u find his picture? If he died in 1793, why do you think this photo is accurate?